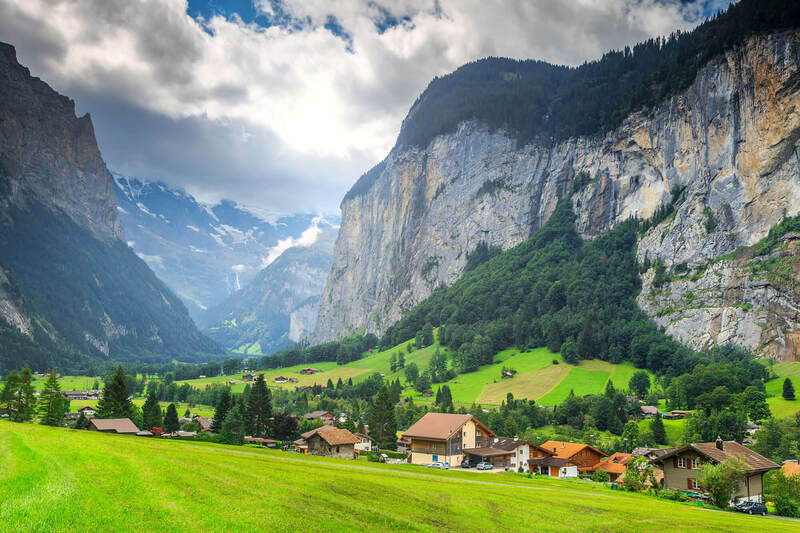 Green fields and famous stunning touristic town with high cliffs in background, Lauterbrunnen, Bernese Oberland, Switzerland, Europe. 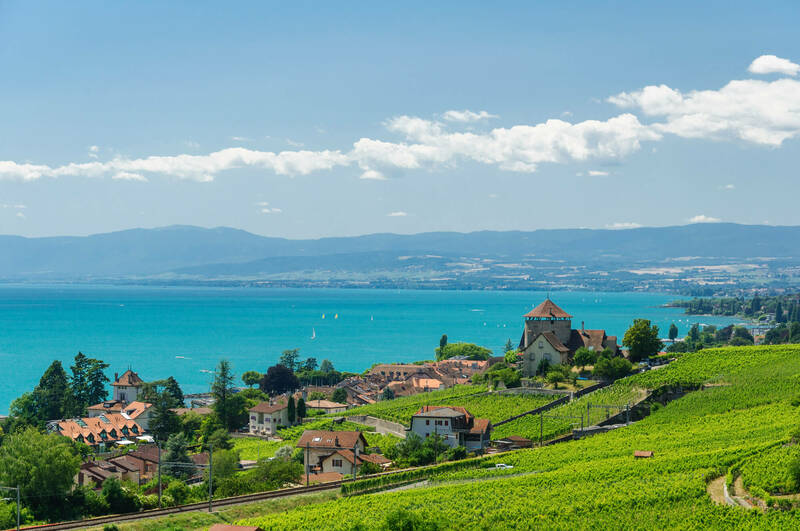 The Lavaux Vineyard Terraces UNESCO World Heritage Site near Lausanne, Switzerland along Lake Geneva. 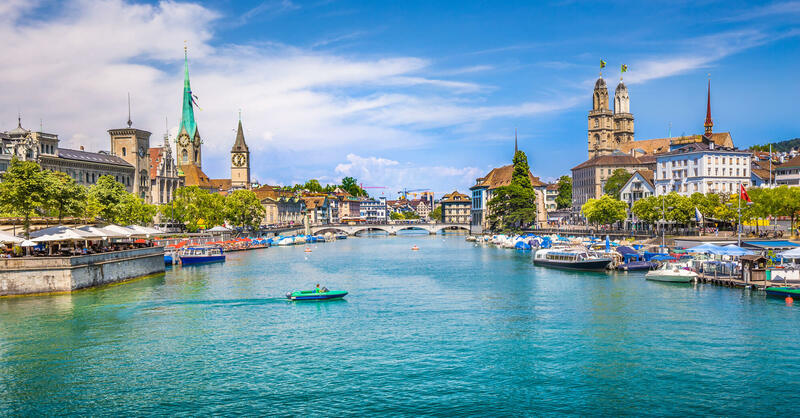 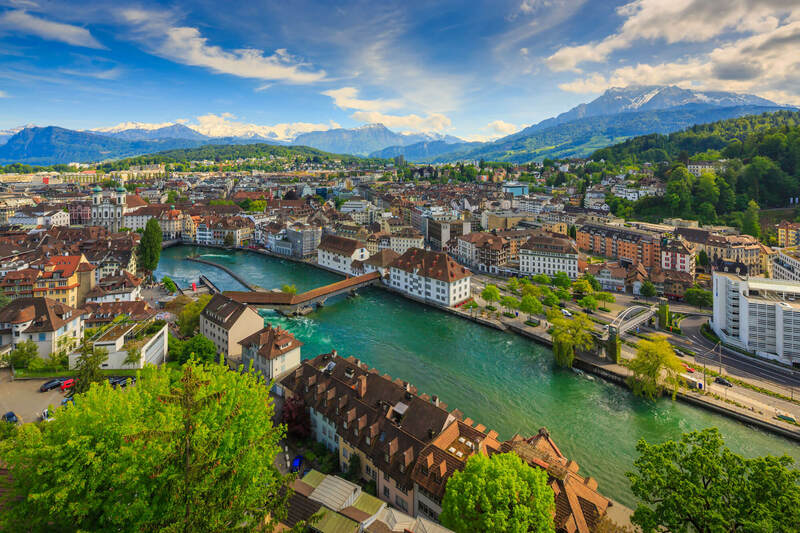 Panorama image of village Weggis, lake Lucerne (Vierwaldstatersee), Pilatus mountain and Swiss Alps in the background near famous Lucerne (Luzern) city, Switzerland. 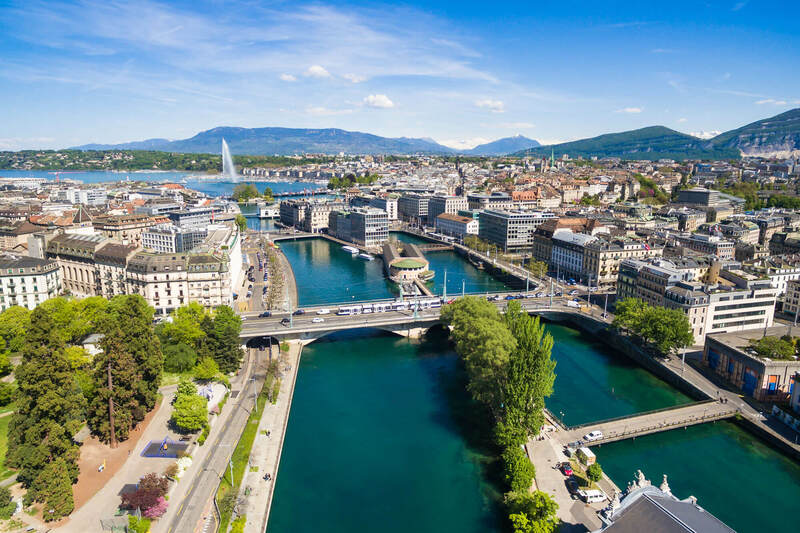 Aerial view of Leman lake - Geneva city in Switzerland. 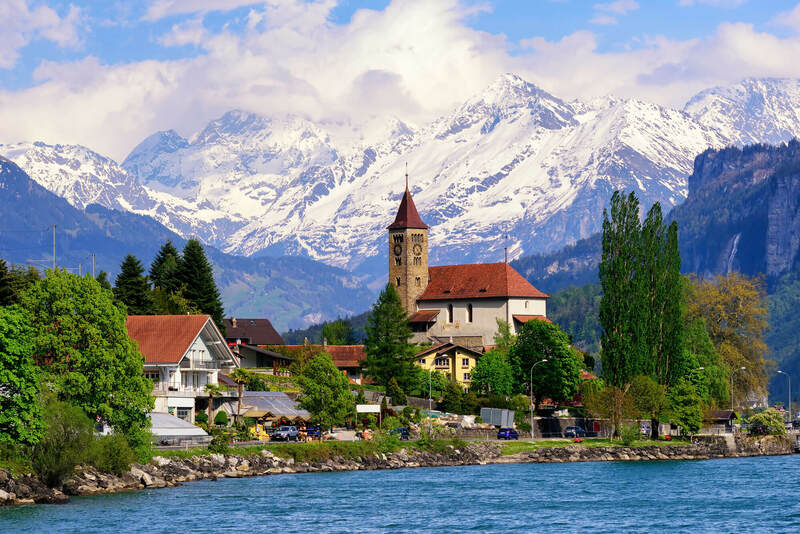 Brienz town on Lake Brienz by Interlaken, Switzerland, with snow covered Alps mountains in background. 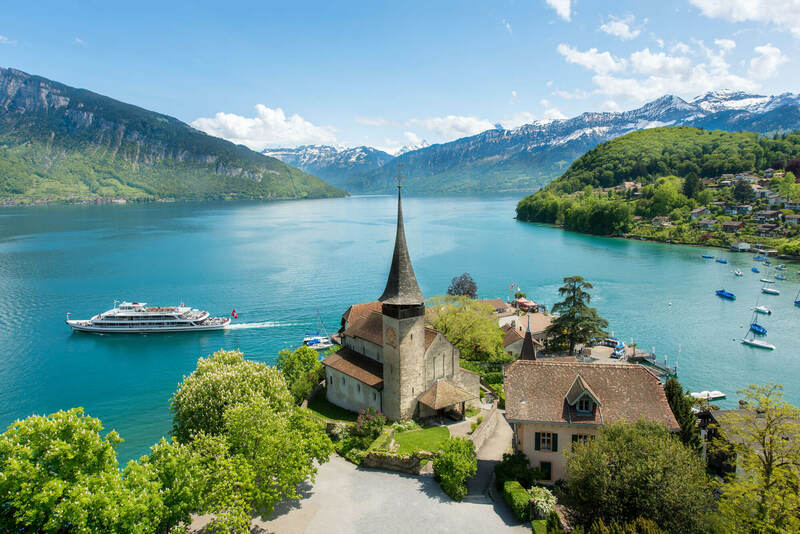 Spiez castle with cruise ship on lake Thun in Bern, Switzerland. 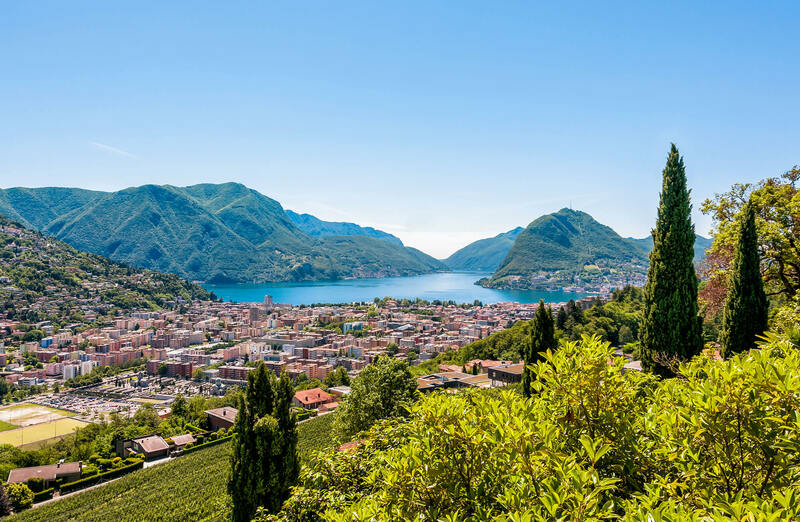 Landscape of Lugano lake, mountains and the city located below, Ticino, Switzerland.